Mailing out periodicals to subscribers. Reporting sales and stock information to publishers. Printing the periodicals in-house using our high-quality digital print facilities. 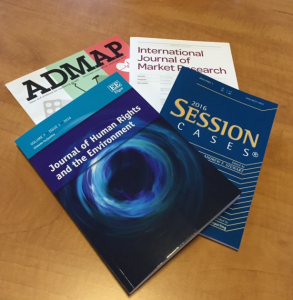 Marston currently distributes 140 periodicals, with more already set up to join us over the next year, spanning the whole range of subjects in the sciences, humanities and social sciences, and professional areas. Having grown the periodicals subscription service from scratch, Marston has developed a unique system, including an automated renewal process, that can be tailored to meet the specific requirements of individual periodical publishers. We have excellent working relationships with all major subscription agencies, and are committed to expanding the subscriptions department, continuing to develop exciting and sophisticated new web technology that will make available a range of new services such as online reporting and access for client publishers. Reminders and invoices can be created in Sterling, US Dollars and Euros. We offer effort analysis through the ability to record and report marketing codes which can also activate special offers or incentives to customers. We also carry out personalised telephone follow up to lapsed subscribers.